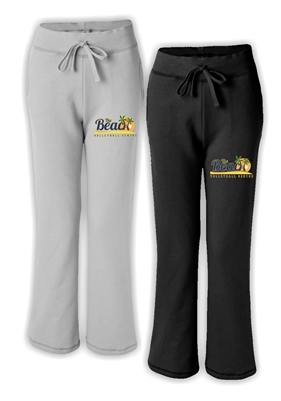 Gildan ladies open bottom sweatpant with multi colour leg imprint. 50% cotton, 50% polyester. Sizes S - XXL.